We will be joining the Model this Friday and Saturday for a few hours, we will be bringing our street rail up for a session. Loads happening at the event and were proud to be apart of it, call up and say hello everybody!. The Summer Session at The Model are two days of Free Drop-in sessions and an evening of live performances. 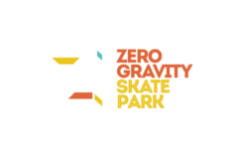 Events include Music, Live Art, Graffiti and Street Art, Spoken Word and Slam Poetry, Hip-Hop and Pop-up Skate and BMX mini Park by Zero Gravity!